When it comes to iOS automation, there is nothing more exciting right now than iOS 12 and the Siri Shortcuts that it will bring to the iPhone and iPad this fall. Building on the Workflow app that Apple bought, clearly with Shortcuts in mind, the new implementation takes what Workflow offered and then turns the dial all the way up to eleven thanks to the way it can access corners of iOS that were simply off limits before. If you’re a developer or part of the public beta for iOS 12, then you can get a feel for what Shortcuts can offer, although if you want to test the Shortcuts app out itself, then you’ll need to be a developer with access to TestFlight. That isn’t stopping some people from getting ready for the big release later this year, though, with one website already dedicated to sharing shortcuts. 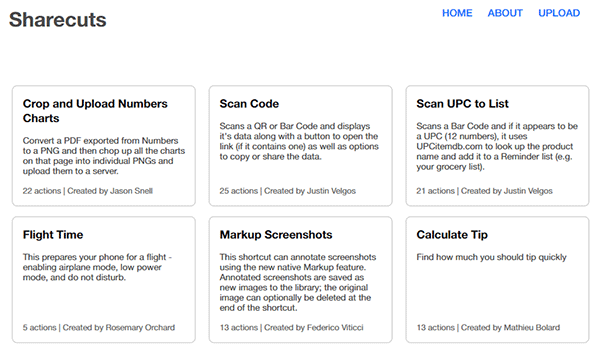 The aptly named Sharecuts (sharecuts.app) is a website that allows users of the Shortcuts app to share their crafted shortcuts online for other people to try out. Here are the details. 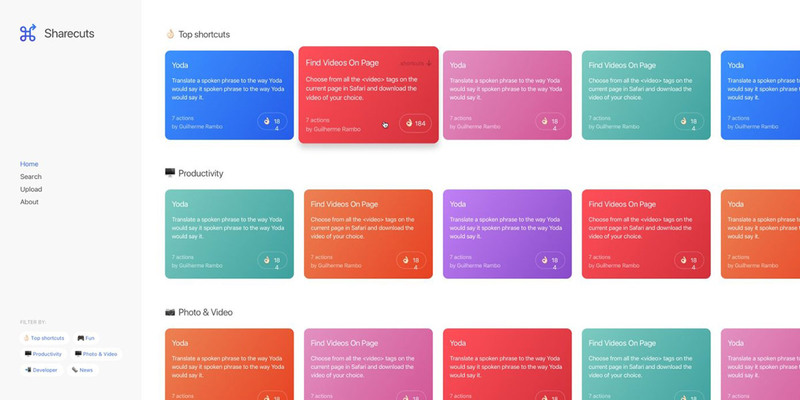 It’s the brainchild of developer Guilherme Rambo and it’s the place to go to see some of the great things people are already doing with Shortcuts. The current design of Sharecuts, subject to an upgrade in the near future. While it may not be of much use to most people right now, the fact it is live and being filled with shortcuts already means that when everyone gets their hands on iOS 12, there will be a plethora of shortcuts that can be downloaded and used right out of the gate. That will be a real boon for those who don’t want to have to go through the work of creating their own shortcuts but still want to experience some of the magic that iOS 12 and Shortcuts has to offer. We’d suggest keeping a close eye on Sharecuts – you never know what you’re going to have in your back pocket ahead of September’s big iOS launch!